Test Valley School — Pupil Saves a Hedgehog! 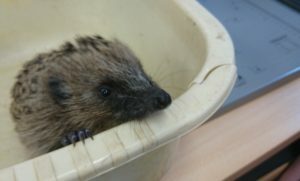 Pisces, as he was immediately named, the hedgehog was rescued from the school pool by a brave pupil last week. After an opportunity to recover and dry off in the Science department Pisces was released safely back into the wild next to a large pile of leaves and twigs.